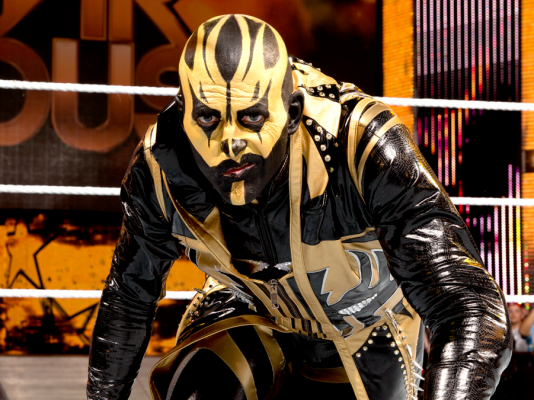 We take a look at the new talent on Raw after the first part of the Superstar Shakeup. We are in Montreal, Quebec, Canada and your announcers are Tom Phillips, Corey Graves, and Byron Saxton. Kevin Owens makes his way to the ring and he is dressed for the occasion for the Kevin Owens Show. Kevin has three chairs in the ring, but no table. Kevin welcomes everyone in French. 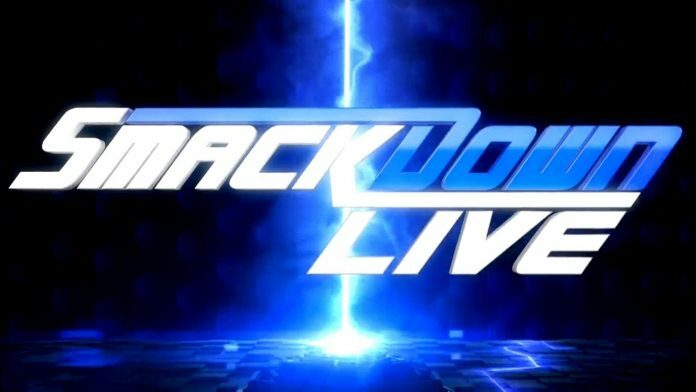 He says people are buzzing about the Superstar Shakeup and he says tonight, Mr. McMahon will reveal the biggest acquisition in Smackdown history, but the biggest star is already here and it is him. Kevin moves on because of his guest and he deserves respect. It is someone who had a Wrestlemania moment we will never forget. Kevin brings out the WWE Champion Kofi Kingston. Kofi makes his way to the ring with Xavier Woods but no Big E due to his injury situation. Kevin welcomes them to the Kevin Owens Show and Montreal. Kevin says what Kofi did at Wrestlemania is something we will never forget. In your first title match in 11 years and you fought against the odds to get there and fought against greater odds to become the champion. Kevin congratulates Kofi and gives him an ovation. Kofi says he appreciates the kind words. At Wrestlemania, they did something special. He got to share it with his family, his friends, and with all of you. Kofi says he is champion in French. Kevin points out that Big E is not here tonight. Kevin says it is not because he is stuck in the splits. Xavier mentions that Big E was injured last week. Xavier says they are taking away most of the Up Up Down Down crew and he demands to see Tyler Breeze on Smackdown. Kofi says they need to focus on tonight. Kevin mentions that Kofi and Xavier have a tag match against Rusev and Nakamura. Kevin mentions that they are used to being a trio. Kevin says that they need back up so Kevin offers his services as Big K. He changes his name to Big O because it is funnier. Kofi tells the Big O it is a big commitment. Kofi asks if he will wear a crop test. Xavier mentions cereal tasting, pancake throwing, video game playing, and moving of the groinal region. We see Rusev and Nakamura watching in the back. Kevin shows his groinal swiveling and Kofi asks the crowd if they want Kevin part of the New Day as an honorary member. Xavier welcomes Big O to the group. Kofi gives Big O his shirt and unicorn horn. They all celebrate in the ring. Cesaro stops by and tells Nakamura and Rusev that he sees three of them and now there are three of us. Finn Balor makes his way to the ring as a new member of Smackdown. They lock up and Balor with a side head lock and shoulder tackle. They lock up and Ali with a waist lock and Balor with a side head lock. Ali with a drop kick and side head lock. Ali blocks a head scissors attempt and Ali with a side head lock. Balor with forearms and Ali floats over and Balor with a back elbow for a near fall. Balor with a slam and elbow drop. Balor with an arm bar. Ali with punches and Balor with a chop. Ali with a kick and head scissors that sends Balor to the floor. Ali with a round kick and suicide dive. Ali gets a near fall. Ali with an arm bar. Balor with forearms but Ali with a forearm. Ali with a chop. Balor rolls through on a sunset flip by Ali and hits a drop kick. Balor kicks Ali and the referee warns Balor. Balor gets a near fall. Balor with a chop. Balor with a snap mare and arm bar. Ali with forearms and Balor with an abdominal stretch. Balor with forearms across the chest to add more damage to the abdominal area. Balor with a knee to the midsection and chop. Balor with an Irish whip and chop into the corner. Balor with another Irish whip and chop. Balor with a third Irish whip but Ali avoids the chop and Ali with a kick and a rolling X Factor. Ali with a chop and then an Irish whip and chop to Balor. Balor with an elevated elbow to the chest for a near fall. Balor with slingblade but Ali with a super kick and he gets a near fall. Balor backs Ali into the corner and Ali with a kick and Balor pushes Ali away on a tornado DDT attempt. Balor with a double stomp. Balor goes up top and Ali recovers and stops Balor on the turnbuckles. Ali goes for a Frankensteiner and hits it. Ali gets a near fall. Ali pulls himself to the ropes and he goes up top and misses a 450 splash but rolls through. Balor with a drop kick that sends Ali into the turnbuckles and follows with Coup de Grace for the three count. After the match, they shake hands before Ali leaves the ring and Balor continues his celebration. We see Kofi Kingston and Xavier Woods walking in the back and they see Big O. Kofi asks Big O if he is ready for his initiation. Xavier says Big O has to eat all of the pancakes and beat Big E’s time. Big O says he has never eaten a pancake before and they are cold. They convince Big O to eat them. R Truth and Carmella make their way to the ring. We are back with the Smoking Box video. We go to the back where Big O has passed his initiation. They lock up and Charlotte sends Carmella to the mat. Carmella pushes Charlotte. Charlotte misses a boot and Carmella with a series of kicks for a near fall. Charlotte goes to the floor to regroup. Carmella with forearms but Charlotte with a knee and she runs Carmella into the ringside barrier. Carmella with an elbow and she hits a cross body off the ringside barrier. Carmella gets a near fall when they return to the ring. Charlotte with chops but Carmella sends Charlotte face first into the turnbuckles. Carmella with kicks and a Bronco Buster. Charlotte sends Carmella to the apron and Charlotte kicks Carmella off the apron as we go to commercial. We are back and Charlotte struts and pie faces Carmella. Charlotte goes for a slam but Carmella with a take down and kick to the head. Carmella is sent to the apron and Charlotte with a dragon screw leg whip in the ropes. Carmella goes to the floor. Charlotte sends Carmella into the ringside barrier. Carmella knocks Charlotte off the ringside barrier and Carmella with a super kick. Charlotte clips Carmella as she gets back into the ring and Charlotte with a figure four and bridge. Lars Sullivan’s music plays and he makes his way to the ring. Truth tells Lars not to do anything to Carmella, but Truth does not realize that Lars came for him. Truth with punches and a flying corkscrew forearm but he bounces off Lars. Lars catches Truth and Lars with a Freak Accident. Lars sees Carmella in the corner and Carmella escapes the ring. Lars with a running sit out power bomb. 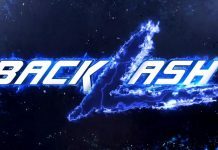 We are back and Becky Lynch makes her way to the ring. We take a look at highlights from the main event of Wrestlemania. Becky reminds us she did what she said she would do and she beat the alleged baddest woman on the planet to win the titles. Nothing focuses the mind more than the Superstar Shakeup. Last night on Raw, she was watching her potential challengers prowl around. The same happened tonight and she knows what her job is. Job one is to run through Lacey Evans. Becky says she does not care who they put in front of here because these titles are a passport to pick fights with whoever she wants. Ember Moon comes out and she says the Shenom is on Smackdown. Becky tells Ember not to interrupt the Man. Ember says she is not out here for advice. She is out here to make a name for herself and why not step up to the woman who beat Ronda Rousey. Bayley makes her way to the stage. Bayley says this is exciting and what the Superstar Shakeup is all about. Bayley mentions that she is now on Smackdown. Becky asks Bayley if she wants a hug or something. Bayley says she is okay. Bayley says it has been a while and things have changed. Bayley says she was able to will Tag Team Titles and she became the first champion with Sasha. Now that she is on Smackdown as a singles competitor, she has her eyes on two other titles. The music for the Tag Team champions play and Peyton Royce and Billie Kay come out. Billie says she thought she heard two belts. Billie mentions that Ember and Bayley have zero belts. Peyton says Naomi isn’t here to back Bayley up tonight. Billie says they have two titles and they are better than Becky’s because they are Iiconic. Paige’s music plays and she says she is on Smackdown and Peyton and Billie are having fun wearing the belts, but it would be better if you defended the titles. Paige says she has believed in these two women since . . .
Mandy Rose and Sonya Deville make their way to the stage. Mandy says they don’t need an introduction. Sonya says Smackdown has waited long enough for the reunion of Absolution. Paige says she is not here to represent them. She is here to represent two revolutionary women. They will be the next Women’s Tag Team Champions. She brings out Asuka and Kairi Sane. Paige says if you are going to make a debut, make an impact. Eight women battle in the ring while Becky watches with a confused look on her face. Ember, Bayley, Kairi, and Asuka remain in the ring as we go to commercial. Enber with a knee to Billie followed by a rana. Peyton tags in and Ember with a back heel kick and a round kick. Bayley tags in and hits a baseball slide. Peyton blocks a suplex. Sonya tags iin and Irish whips Bayley but Bayley gets her boots up and hits a back elbow off the turnbuckles for a near fall. Asuka tags in and misses a round kick. Sonya misses a kick but Asuka with a kick. Sonya sends Asuka into the turnbuckles and Mandy tags in and she kicks Asuka. Asuka with a hip attack and Sane tags in. Asuka with a back heel kick and Sane with a kick. Asuka with a bulldog. Sonya is sent to the floor and Bayley with a suicide dive onto Rose and Deville. Billie and Peyton check on Sonya and Mandy but Ember with a cross body onto everyone. Sane rolls Mandy back into the ring and gets a near fall. Sane with chops to Mandy. Mandy with forerms and Peyton tags in and kicks Sane. Sane with a chop and head scissors take down. Bayley tags in and hits a back elbow into the corner. Billie distracts Bayley and Peyton with a spinning back heel kick as Billie gets a near fall. Sonya tags in and punches Bayley. Sonya with more punches to Bayley and she chokes Bayley in the ropes. Bayley is sent into the turnbuckles and Mandy tags in and they hit a double kick and Sonya follows with a kick but Mandy with a knee. Mandy gets a near fall. Peyton tags in and kicks Bayley and sends her into the turnbuckles. Peyton chokes Bayley but Peyton misses a spinning heel kick. Bayley knocks Mandy down. Peyton with a forearm to knock Ember off the apron. Asuka tags in and kicks Peyton. Asuka knocks Billie and Sonya off the apron. Asuka with a drop kick and a hip attack into the corner. Asuka with a round kick and German suplex. Asuka with a kick and Shining Wizard for a near fall. Ember with a springboard cross body but Sonya with a spear to Ember. Bayley with a belly-to-belly suplex to Sonya. Billie with Sole Food to Bayley. Sane with a back fist to Billie. Peyton sends Sane to the apron and Asuka with an elbow and reverse DDT. Sane tags in and goes up top for the elbow drop and the three count. 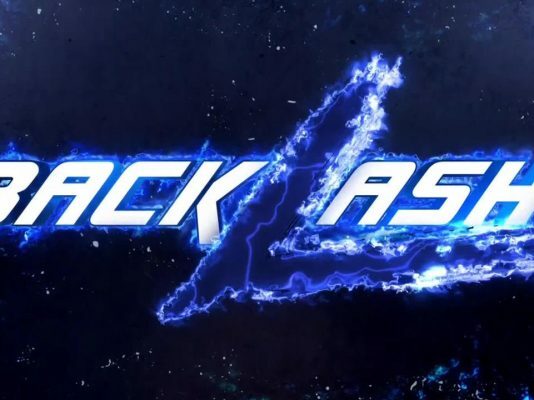 We take a look at the wrestlers who have moved to Smackdown. 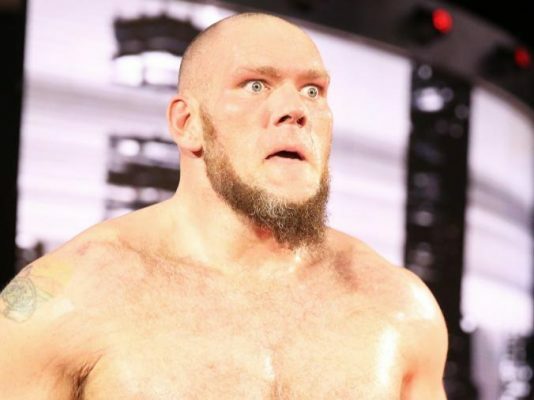 We see what Lars Sullivan did to Kurt Angle last week on Raw and last night to Rey Mysterio. We also see what Lars did to R Truth. We also see what Lars did last week to the Hardys. Matt asks Jeff if he remembers what happened last week. Matt asks Jeff if he remembers the other thing and they hold up the title belts. Matt says people forgot about the greatness of the Hardys, they made people remember. They are the greatest tag team of space and time. Big O is in the gorilla position with Kofi and Xavier to to the introduction. We are back and Buddy Murphy says he has been destroying the cruiserweight roster on 205 Live. You might know him now, but the best kept secret is coming to Smackdown. Rusev and Woods start things off and Woods with a side head lock. Rusev sends Woods into the corner but misses a splash. Woods with a slap. They lock up again and Woods goes for a chop but Rusev with a knee and forearm followed by shoulders. Woods with an Honor Roll for a near fall. Kofi tags in and they kick Rusev and hit a double bulldog for a near fall. Rusev with a punch and Nakamura tags in. Nakamura with a boot in the corner. Kofi with a kick and he gets a near fall. Kofi with kicks in the corner and Woods tags in and kicks Nakamura. Kofi tags back in and kicks Nakamura. Owens tags in and adds some kicks. Owens with a cannonball on Nakamura. Woods tags in and he punches Nakamura. Nakamura with a round kick. Cesaro tags in and he connects with a European uppercut and then he goes for a belly-to-back suplex but Woods lands on his feet. Cesaro sends Woods over the top rope to the floor and Nakamura tags in. Rusev sends Woods to Nakamura and Nakamura with a hot shot onto the ringside barrier as we go to commercial. We are back and Woods punches Nakamura but he cannot make the tag. Nakamura kicks Woods and Nakamura with a sliding German suplex and Rusev gets a near fall. Nakamura tags in and he sends Woods into the turnbuckles. Nakamura misses a knee in the corner when Woods moves. Woods goes up top but Nakamura with a round kick. Nakamura goes for a superplex but Woods blocks it. Woods knocks Nakamura off the turnbuckles. Woods with a missile drop kick. Kofi and Cesaro tag in and Kofi with a springboard forearm and drop kicks to Cesaro followed by a flying clothesline. Kofi with a Boom Drop. Rusev tries to stop Kofi but Kofi with a forearm. Kofi with a kick and he goes off the turnbuckles. Cesaro catches Kofi but Kofi gets to his feet and hits SOS for a near fall. Cesaro with a giant swing. Cesaro with a Sharpshooter but Owens with a super kick. Nakamura with a kick to Owens. Woods with a DDT. Rusev sends Woods to the floor. Rusev tags in and Kofi gets to his feet and Owens is tagged in. Owens sends Rusev to the floor. Kofi sends Kofi onto Nakamura, Rusev, and Cesaro. Woods blocks a kick from Rusev. Kofi with Trouble in Paradise and Owens with a stunner for the three count. After the match, Vince McMahon is watching on the monitor and we go to commercial. We are back with the Bray Wyatt doll video package. Vince McMahon makes hi sway to the ring and he has a big announcement to make. Vince says it is nice to be back in Montreal. Seldom does he put a seal of approval on a superstar, but he is going to do it now. He is the future of Smackdown and the future of the WWE. He is the greatest acquisition in the history of Smackdown. He exudes charisma . . .
Elias says there is a man who knows what WWE stands for. Elias talks about his recent interruptions but after what Vince said and did to name him the biggest acquisition in the history of Smackdown, Vince has his finger on the pulse of things. It is time to walk with Elias. Elias says he is happy to be on Smackdown, but not to be in Montreal. You speak a language he cannot understand. You are upset that AJ Styles is not here, but Smackdown will become the temple of Elias. You will come out to worship him. Roman Reigns interrupts and he makes his way to the ring. Roman with an uppercut and Superman punch. Vince yells at Roman for attacking Elias and Vince realizes he made a mistake and Roman with a Superman punch. Roman says he does not care what Elias says because Smackdown is his yard now. Roman leaves the ring and then he sees Elias get up and he hits a spear on Elias. 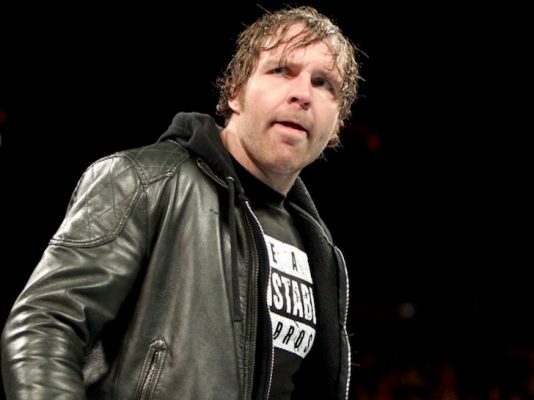 Dean Ambrose Retiring From Wrestling?